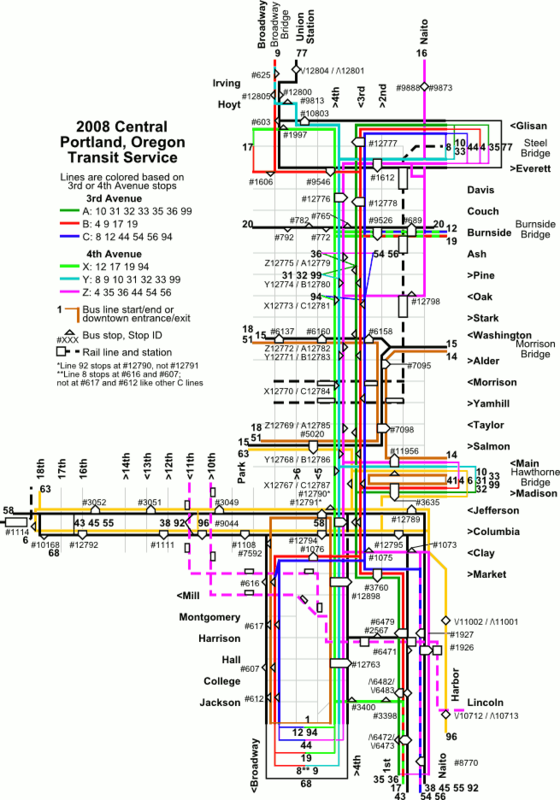 Unlike the official map, bus lines are colored in more than just gray. In this map, all lines that share a set of stops on 3rd (A, B or C) or 4th (X, Y, or Z) have a specific, individual color. In addition, some (other) lines use Jefferson/Columbia and are divided between two stops near 5th and I tried to give lines serving each of those stops their own colors, too.